Find the latest UEFA Nations League predictions and betting tips below and also get the latest match previews for the brand new international football tournament above. We will provide selections from all the big Nations League fixtures and keep you up to date with the best UEFA National League betting tips from each fixture. You can also find out below what the new Nations League is all about and how it works. The new tournament is aimed at making international friendly matches more competitive, and that can only be a positive thing for punters looking to place a bet on the matches in the competition. You can bet on the outright markets in the UEFA Nations League as well as getting the latest Nations League betting tips and predictions for the upcoming matches. Below we have put together some of our latest outright UEFA Nations League predictions including an outright selection and a top goalscorer tip. For this selection we are going for Belgium. They have been handed a favourable draw in their group with Switzerland and Iceland so are expected to collect maximum points at that stage. They were brilliant in the World Cup and a little unfortunate to not make the final but we are expecting Belgium to continue their quest for winning a major tournament by winning the UEFA Nations Cup. Roberto Martinez was pleased with their World Cup performance and all eyes will now be on Euro 2020 for the Red Devils, however these more competitive friendlies will provide a good test for Martinez’ men and they will be hoping they’ll be fully prepared for the European Championships on the back of this. When looking at this betting tip, we took into account the fixtures that the players at the top of the market will play in the early matches. Matches against Switzerland and Iceland will provide Belgium plenty of goalscoring chances and Romelu Lukaku could be the best Nations League top goalscorer tip. He had a good World Cup, especially in the early matches, and can capitalise on a slightly more favouriable set of fixtures compared to the likes of Harry Kane, Kylian M’bappe or Cristiano Ronaldo. What are today’s UEFA Nations League Betting Tips? To find all the most up to date betting tips for the UEFA Nations League we recommend you scroll back up this page to find the match previews, where you will find all the latest UEFA Nations League betting tips including as well as reasons from our expert tipsters for each bet. As each round of the competition approaches, we will provide the best bets for each match and where the fixtures allow, you’ll also find accumulator tips for the matches. These will replace our our international friendly accumulators. 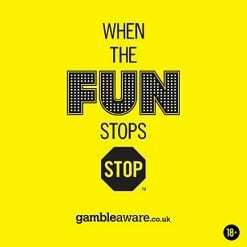 We’ll try and find the best football betting tips for the day’s fixtures including the big matches featuring the home nations as well as the likes of World Cup winners France, Spain, Germany and the Netherlands, who are looking to get back to their old form where they were competing in all the major tournaments. The new concept has been seven years in the making and will consist of 55 European nations. They are split into four leagues, A-D, based on their UEFA ranking at the end of the World Cup 2018 qualifying matches. Within the four leagues, the nations will be divided once again into groups or either three or four teams. At the end of the group phase, the winner of each league will be promoted and the bottom club will be relegated. The winners of the four groups in league A will play in the final phase, the ‘Final Four’ where the winner will be crowned.